157, 822 citizens in five years! That is the number of people that have been impacted by the 1,234 members of the Follow The Money network of Connected Development [CODE], tracking government spending on health facilities, teaching aid, and water supply in rural communities. 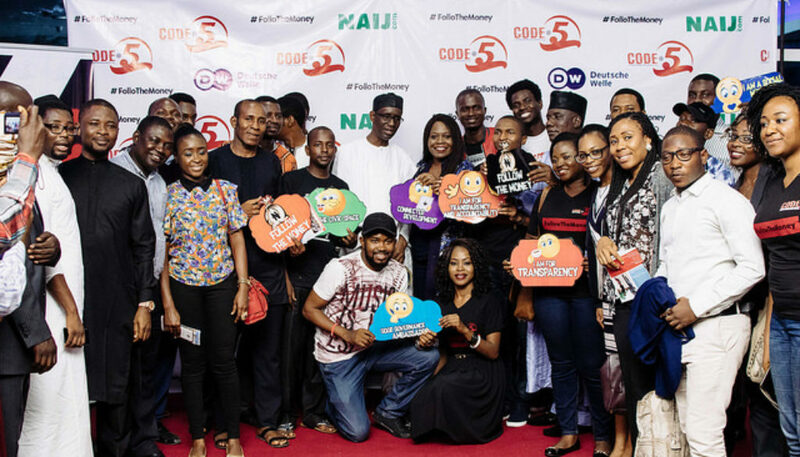 Much reason why these community champions were celebrated on August 15, 2017, marking five years of CODE existence, at the Silverbird Cinemas, Central Area of Abuja in the Federal Capital Territory. For the future, CODE launched the web and mobile platform – http://ifollowthemoney.org a citizen participation platform, meant for knowledge exchange, knowledge sharing, and community mobilization. “Great ideas will not come from the present organization you are working; it comes from interaction with other people, in conferences, networking gatherings, in some locations – like Yahuza Suya ( a famous meat shop in Wuse, Abuja), and Ceddi Plaza (a shopping mall in the heart of Abuja), which was where the conversation on starting this movement – Connected Development started” explained Oludotun Babayemi, the Co-Founder of CODE, in his welcome address. In Nigeria, according to the United Nations Industrial Development Organization (UNIDO) investment and technology office in the country, 2 out of 10 start-ups manage to survive, not to talk of this feat the organization has been able to achieve in few years. Mr Ben Ubiri, popularly known as Ben200, an on – air – personality with Nigeria Info FM Abuja, introduced as one of the community champions was the host. He reiterated these statistics all through the 2 – hour event that comprised film screening of past campaigns – A video shut by Deutsche Welle on the Lead Poisoning in Shikira, and the launch of the future – an animated video in different local languages of why and how citizens can join the movement. The high point of the night was the key note speech by Mallam Nuhu Ribadu, the pioneer Executive Chairman of the Economic and Financial Crime Commission (EFCC) who reiterated the fact that citizens need to mobilize themselves on legitimate platforms like that of CODE which had to remain apolitical. “Even in trying times like this in our nation, we still see some young and energetic men, mobilizing and organizing less privileged communities to speak truth to power,” he said.He acknowledged the fact that corruption has eaten into the fabrics of the country, and that mass orientation by pressure groups like CODE will be worthwhile. The keynote speech was followed by a panel comprising of social accountability advocates in the country – Oluseun Onigbinde, Lead Partner at BudgIT; Gift Omodedia, Senior Programmes Manager at Public and Private Development Center; Serah Maka, Nigeria Country Director at ONE. Others on the panel were Esther Agbarakwe, Adviser on Strategic Communication at the Federal Ministry of Environment; and Semiye Michael, the founder of DEAN Initiative while the panel was moderated by the popular online blogger – Japheth Omojuwa. The discussion hinged on how it has become pertinent for Civil Society Organizations (CSOs) to practice what they preach, especially on how they transition their organization to become sustainable, and not to become self-seeking, and rent – seeking organizations. Of course, two -hours isn’t enough to discuss this, but the bottom line was that CSOs should develop methodologies of incorporating the communities they serve into their organization and that their constitutions should state clearly how the leadership of such CSOs transit. 120 minutes isn’t a long time, so short that the fully occupied seats of the hall 4, at the Silverbird Cinemas, couldn’t but beg for a vote of thanks. Orchestrated by the Co-founder and Chief Executive, Hamzat Lawal who affirmed that the vision of the organization is to see the new born generation, and the future generation upholds the ideals and ideology of CODE’s Follow The Money. “No doubt, our immense thanks rest on on organizations like Indigo Trust, Omidyar Network, and a list of others, who saw the vision, and believed it is worth investing in – intellectually and financially,” Hamzat said in closing.